Saturday Night Live writer Katie Rich has been indefinitely suspended from the show after mocking Donald Trump’s 10-year-old son Barron. 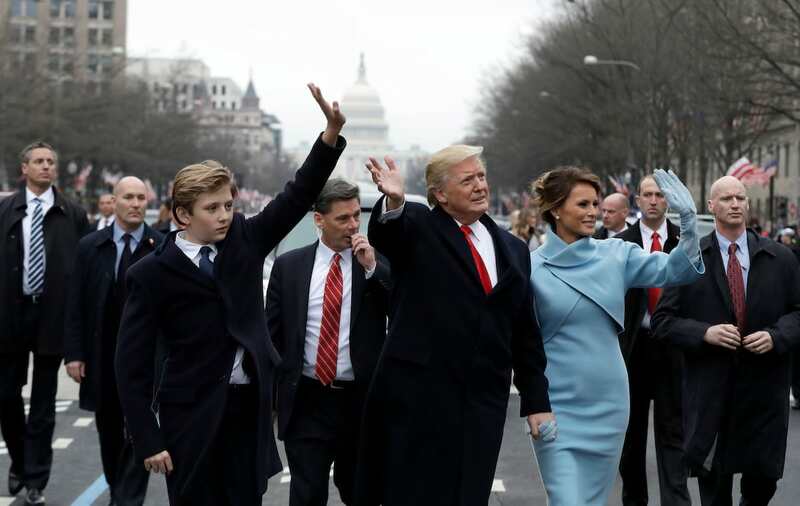 Taking to Twitter during Friday’s inauguration, Rich wrote: “Barron will be this country’s first homeschool shooter,” when a series of memes were circulating about the boy. Facing an avalanche of criticism, the tweet was left up for about three hours before being deleted and her Twitter account made private. The New York Times reports that Rich was suspended immediately after she posted the tweet about Barron. Rich, who has written for SNL since 2013, returned to Twitter with an apology on Monday. Katie Rich of "SNL" has been suspended after tweet mocking Barron Trump. If she had mocked a disabled reporter then she would be President. writing what she wants on twitter? who does katie rich think she is, a president?! Rich wasn’t the only one to draw backlash for mocking the president’s 10-year-old son. Modern Family star Julie Bowen also felt the wrath of Twitter for her comments about Barron during his father’s inauguration. Both incidents were enough to prompt Chelsea Clinton and Monica Lewinsky to voice their support for the president’s youngest son. Reminding social media users the 10-year-old ‘deserves the chance every child does – to be a kid’. Don’t aim potentially offensive jokes at kids if you’re a grown adult.